The Trinamool Congress, who had vociferously argued against linking Aadhaar number with phone connections and bank accounts, saying it was an infringement on one's Right to Privacy, welcomed Wednesday's Supreme Court verdict. "We welcome the verdict by the Supreme Court. It is a victory of the people of this country and we are very happy," West Bengal Chief Minister Mamata Banerjee said in a statement from Milan in Italy, where she is on an official tour. The Supreme Court, while upholding the constitutional validity of Aadhaar, struck down some of its provisions including linking with bank accounts, mobile phones and school admissions. "Days of the BJP government are over in the country," Ms Banerjee said in her statement. 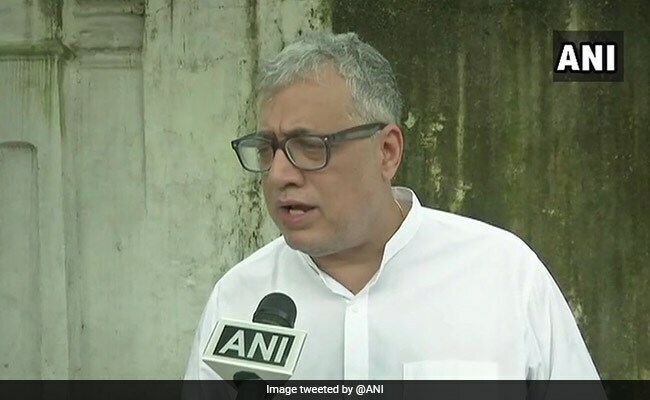 Party spokesperson and leader of Trinamool in Rajya Sabha Derek O'Brien said, "Mamata Banerjee had issued an open challenge on Aadhaar. Our stance has been vindicated." He said, "I am glad the court said we need to take a closer look at data privacy and data protection...the BJP can't make it (India) into a policed state." In a sharp rebuke, senior Supreme Court advocate and Congress spokesperson Abhishek Manu Shinghvi said, his party is "delighted" with Supreme Court verdict on Aadhaar. "It is a huge judicial slap on BJP...it gives importance to our privacy...the Supreme Court has balanced all the parameters of Aadhaar Card...they have later added hundreds of unnecessary things into it, which were baseless...it's a great blow by throwing out the dirty bath water but preserving the baby," said Mr Singhvi. D Raja of the CPI said several issues still need to be addressed. "They are not just legal questions; there are various fundamental questions...Parliament will have to address some of the issues, which judiciary can't address."